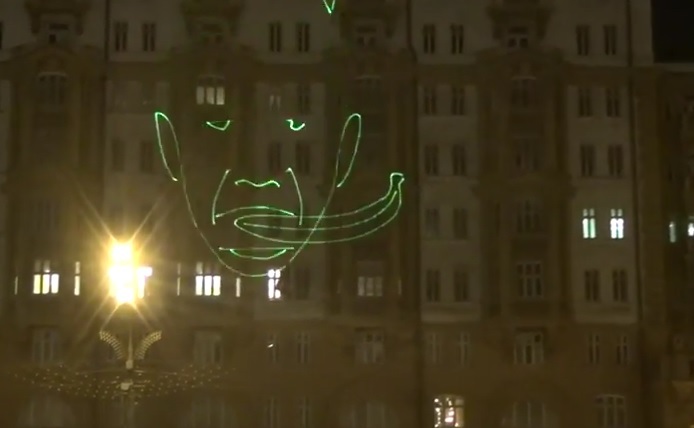 This year on Barack Obama’s birthday a group of Russian activists shined a laser show of Obama fellating a banana on the US Embassy in Moscow. 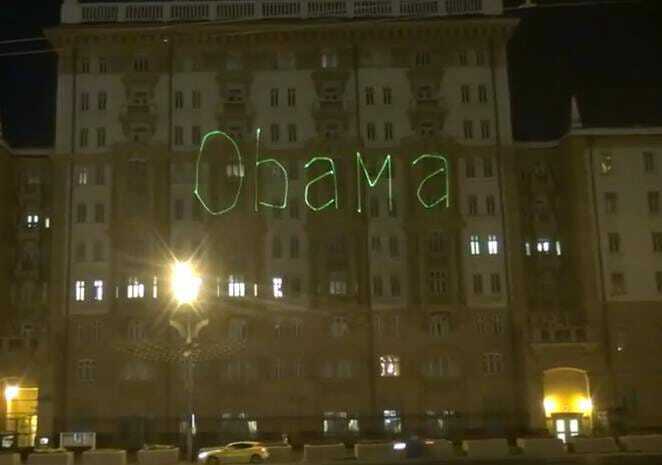 The laser show was projected on the outside of the US Embassy in Moscow. The Russians shined the lasers on the embassy on the day of the president’s 53rd birthday. 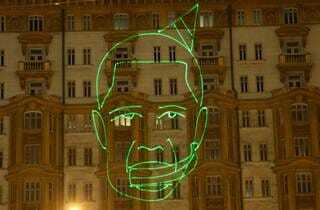 The laser show switched from Happy Birthday Obama to images of Barack in a birthday hat eating a banana.